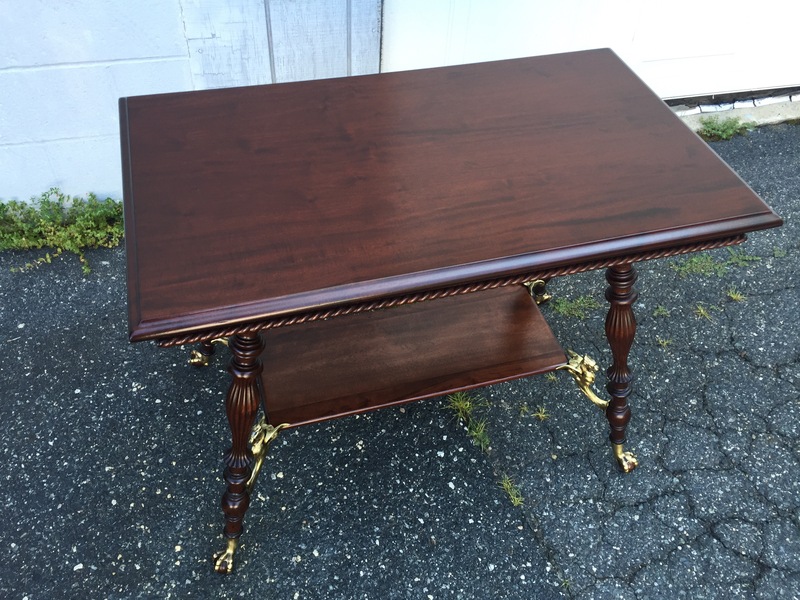 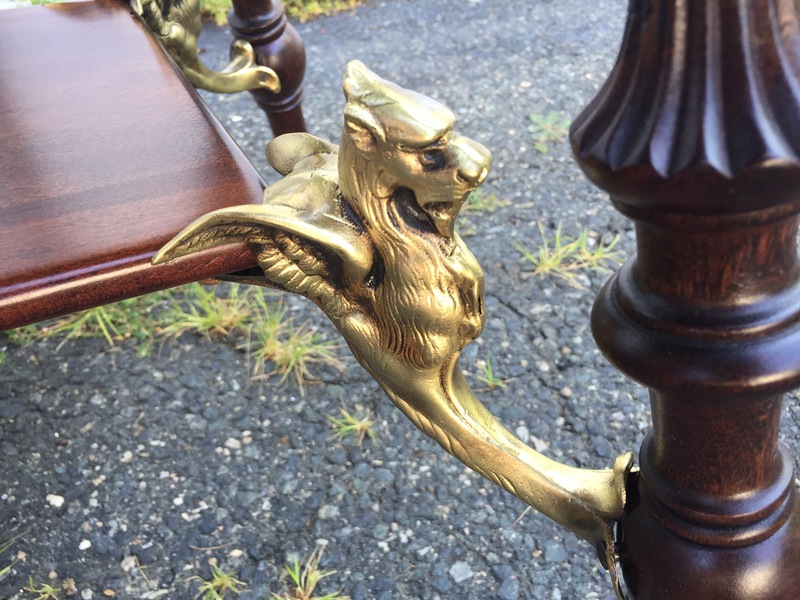 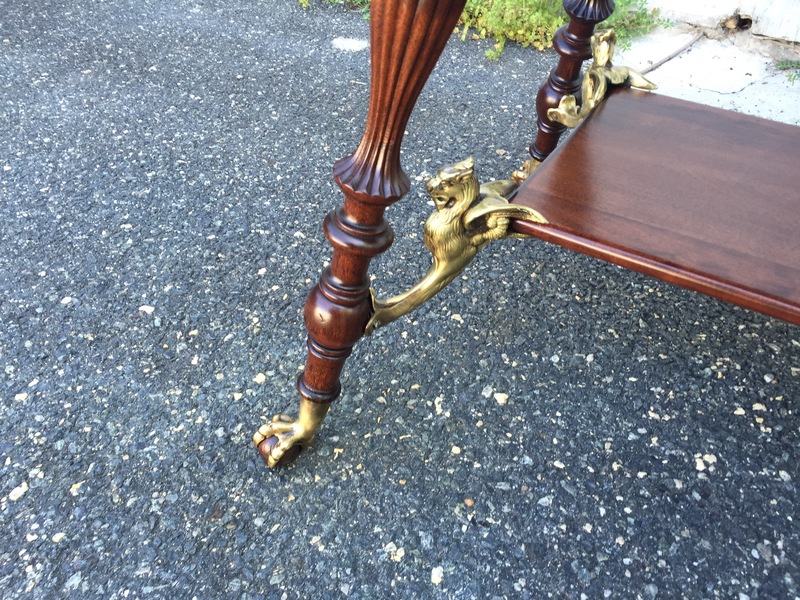 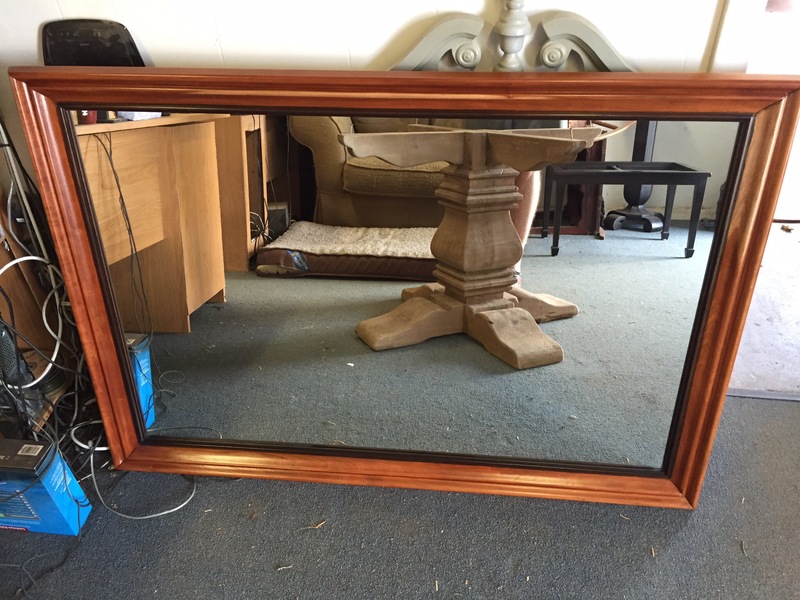 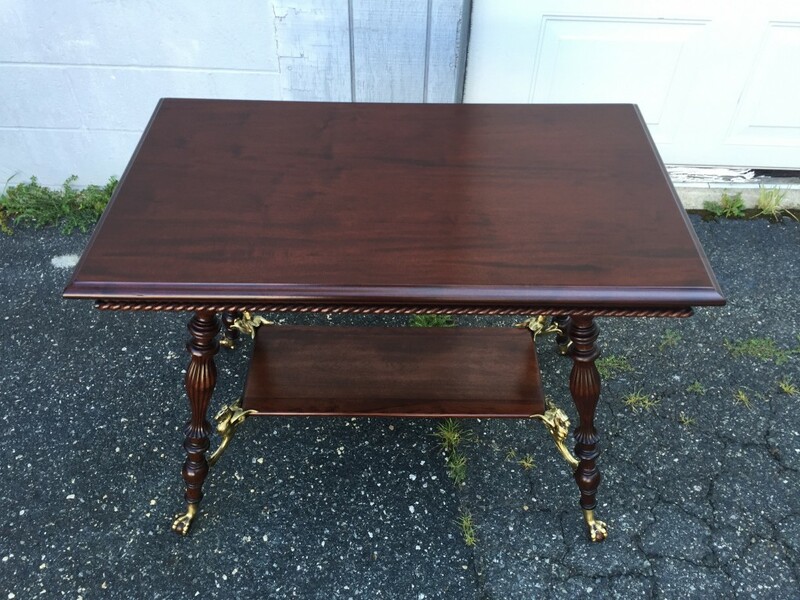 Early 1900’s mahogany table with brass claw feet and brass gargoyle shelf supports. 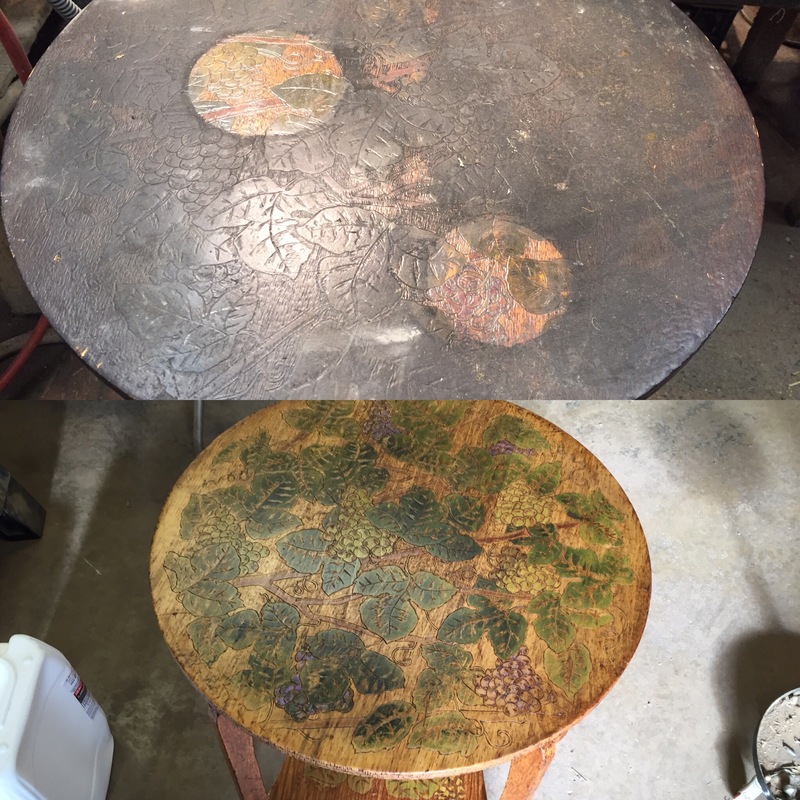 Brass polished and highlighted. 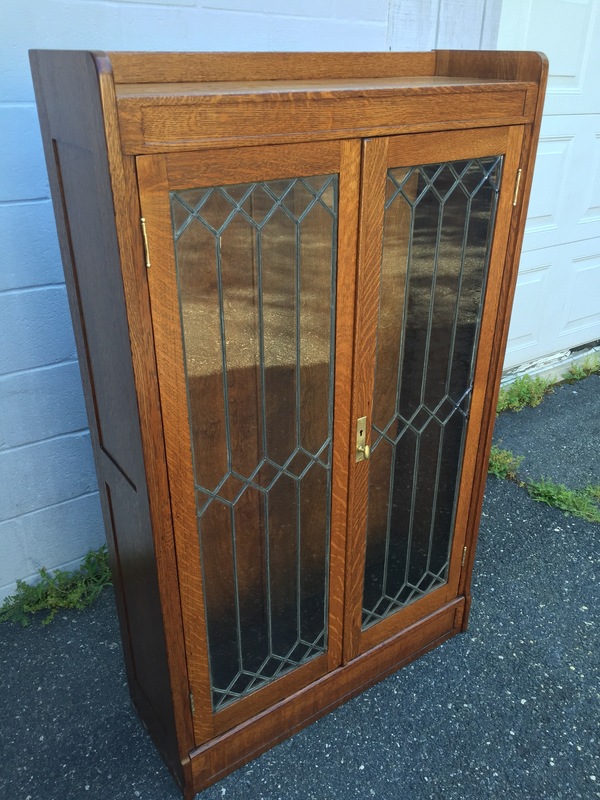 Early 1900’s oak bookcase with leaded glass doors. 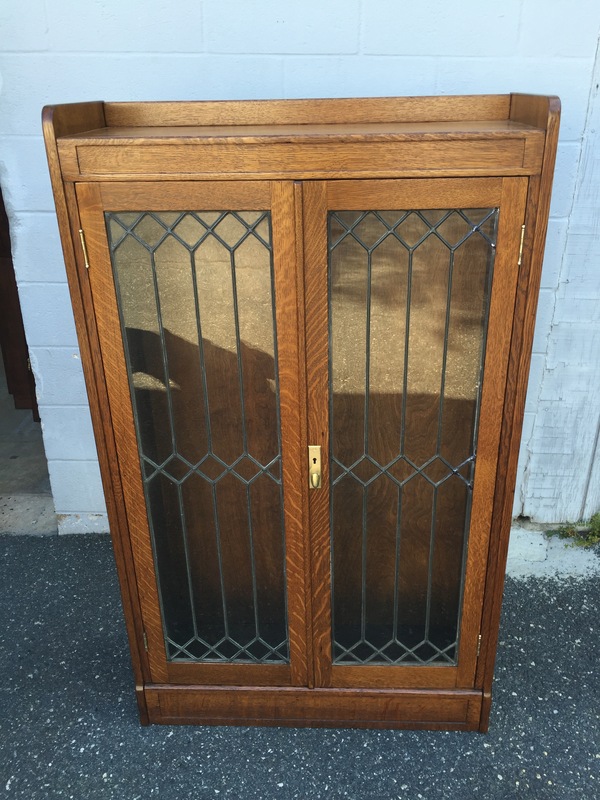 One door had to have a couple glass sections replaced, all repairs done by us. 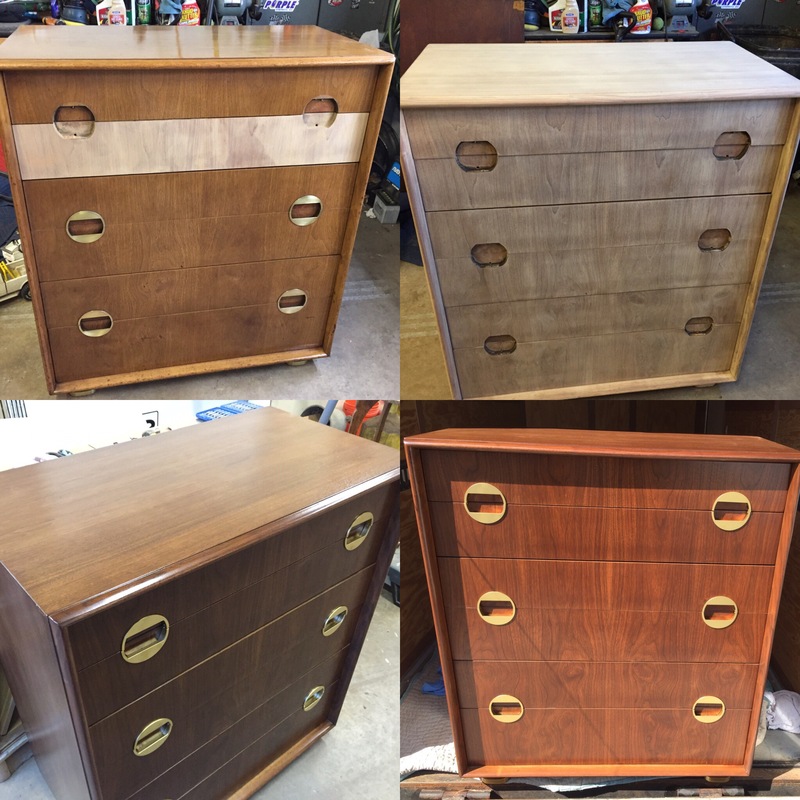 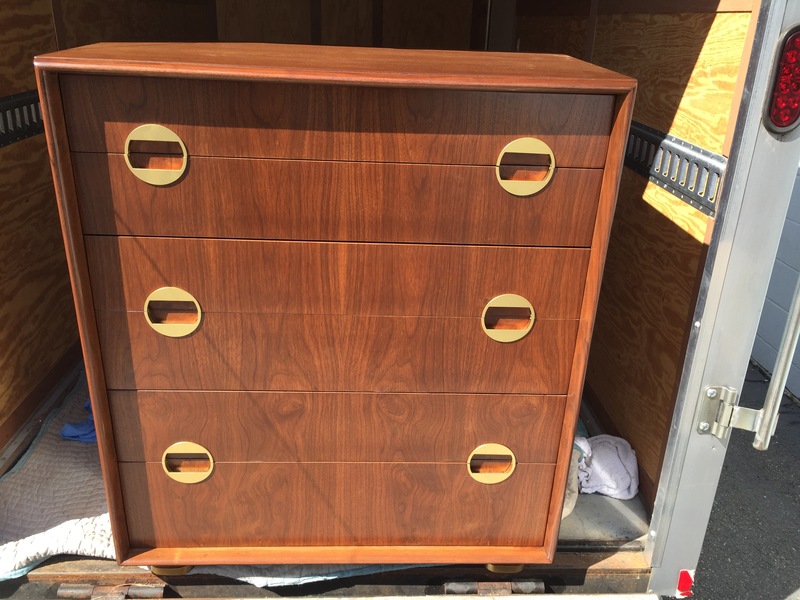 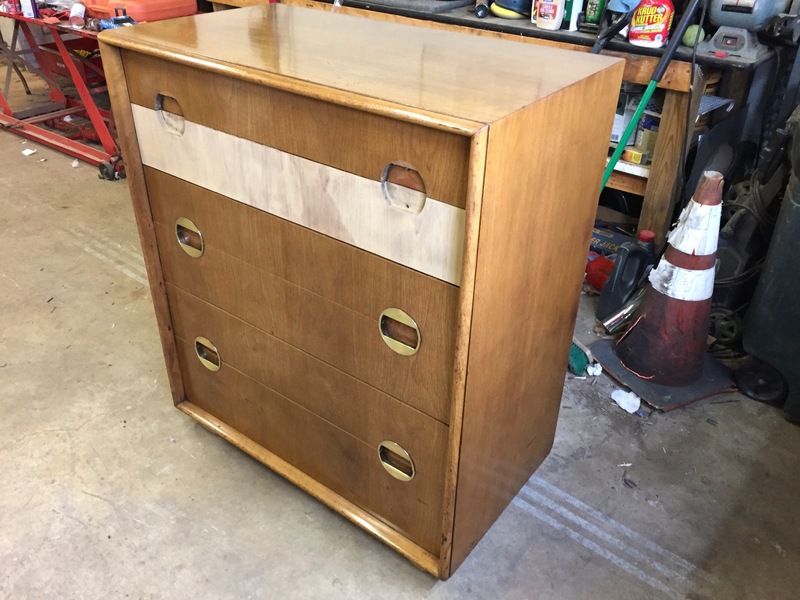 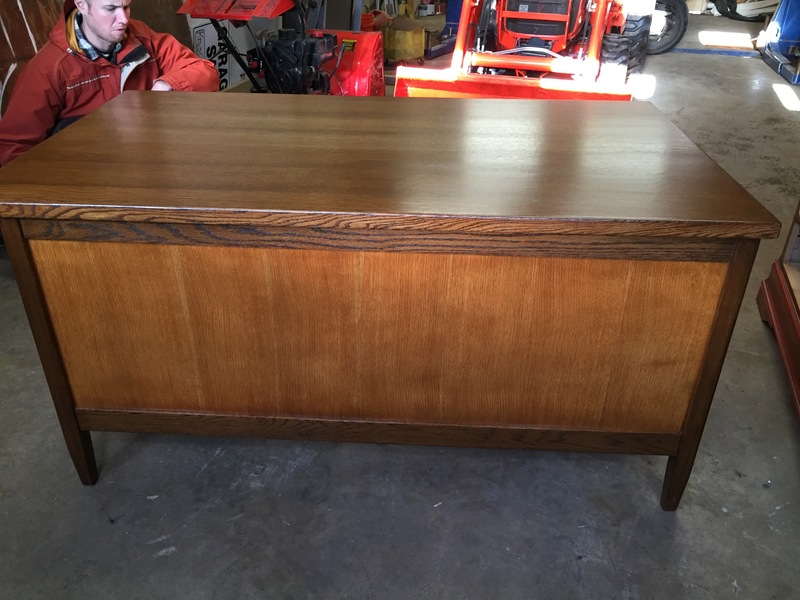 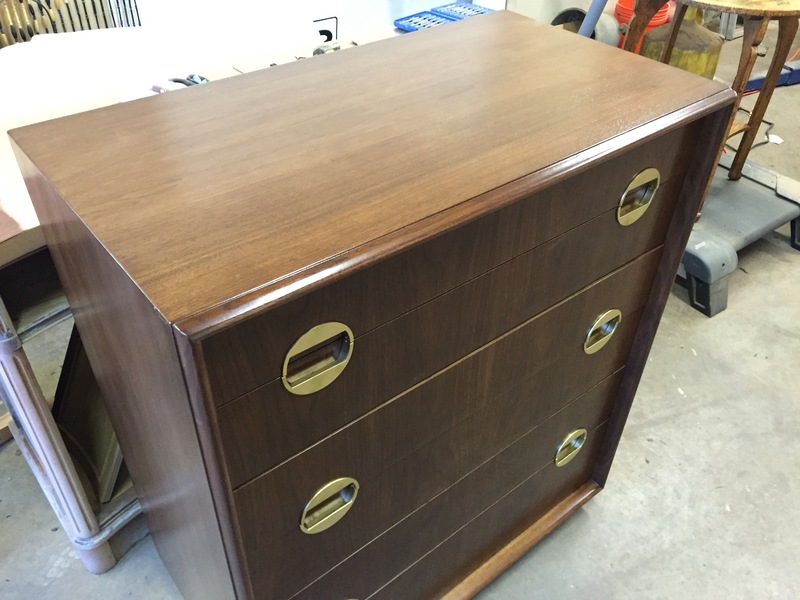 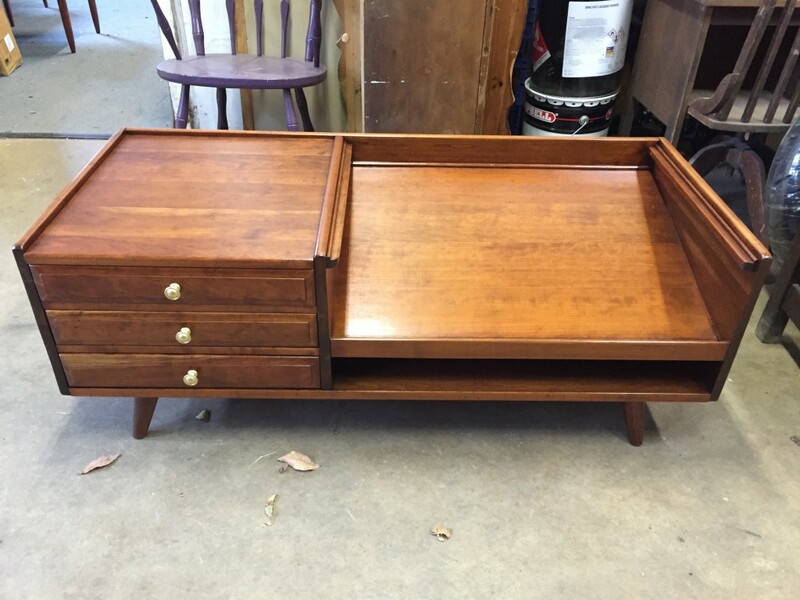 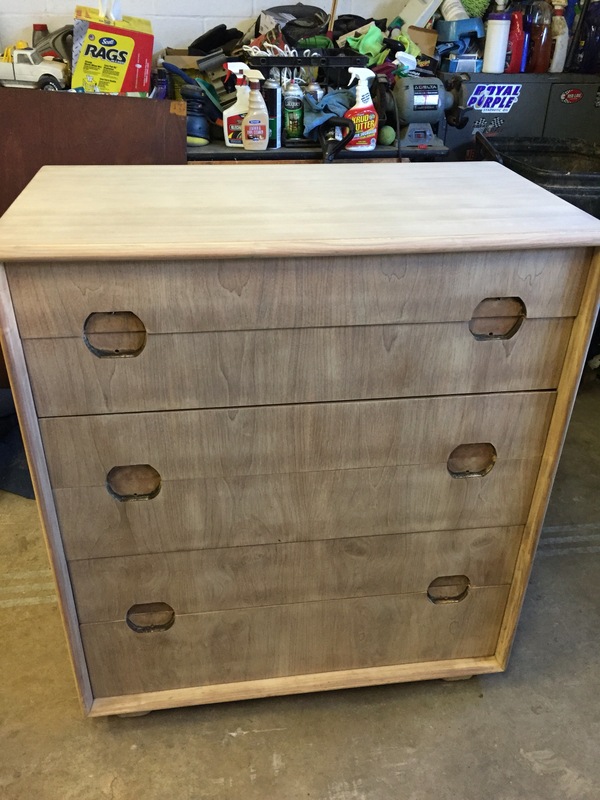 Mid-Century modern walnut dresser. 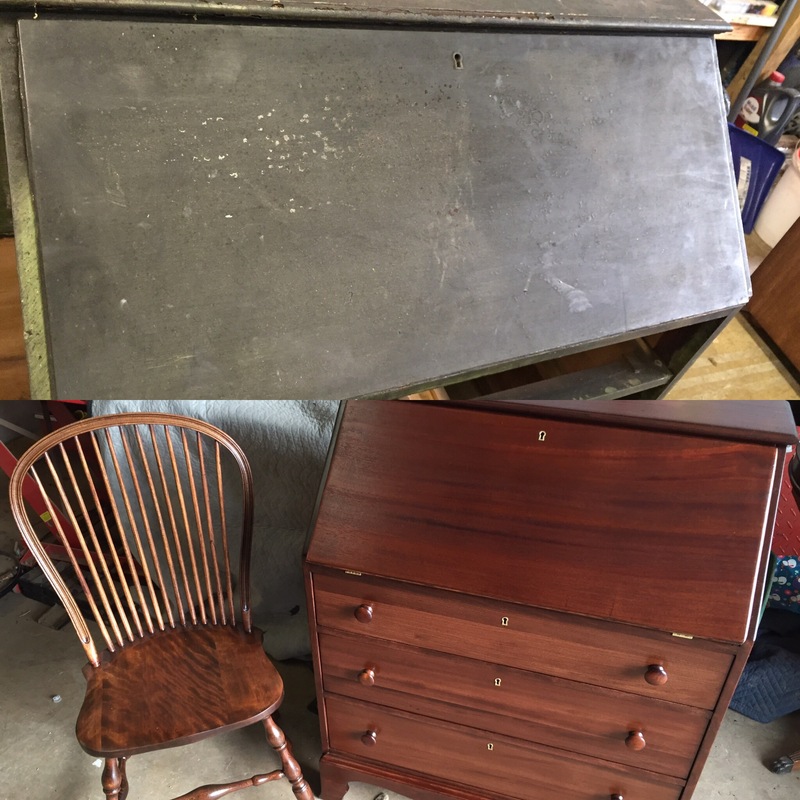 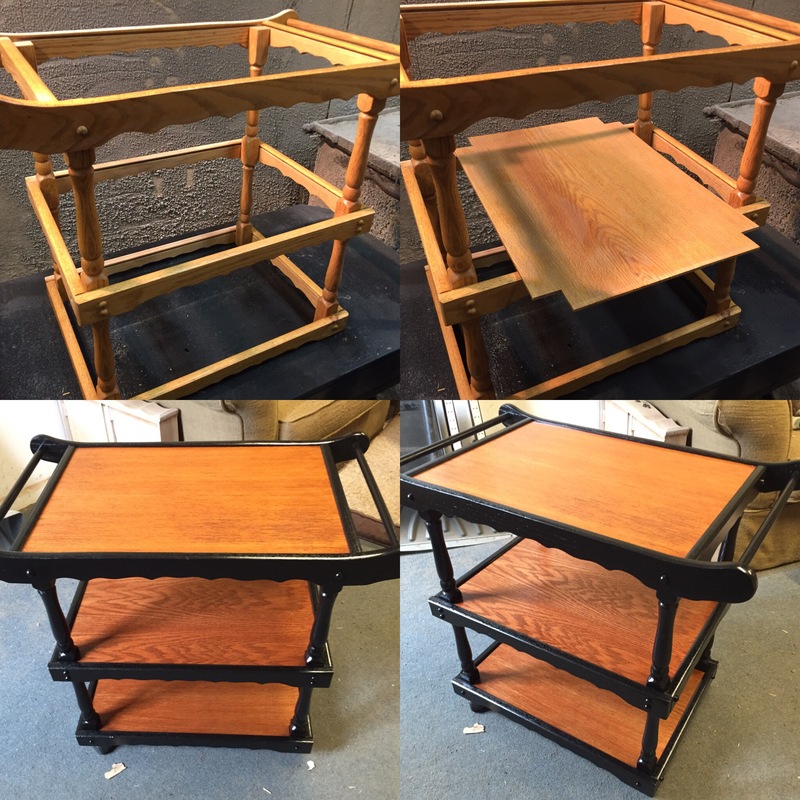 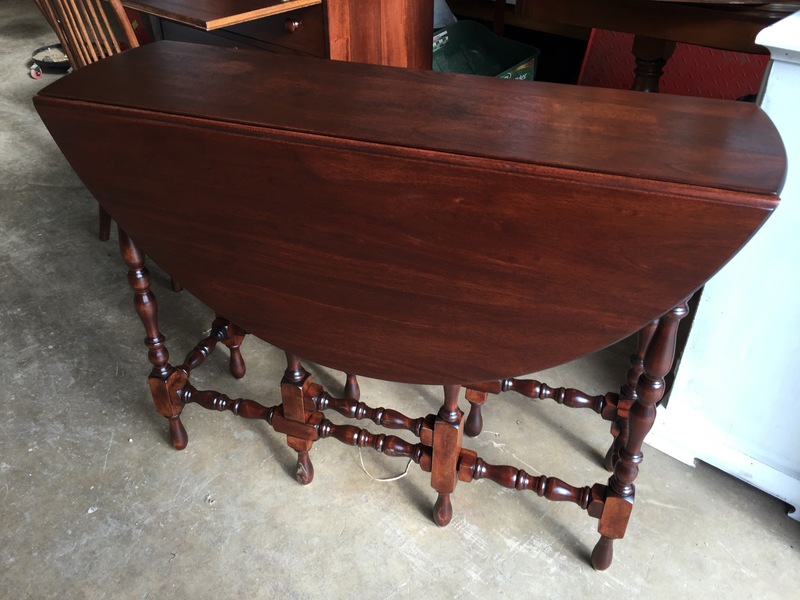 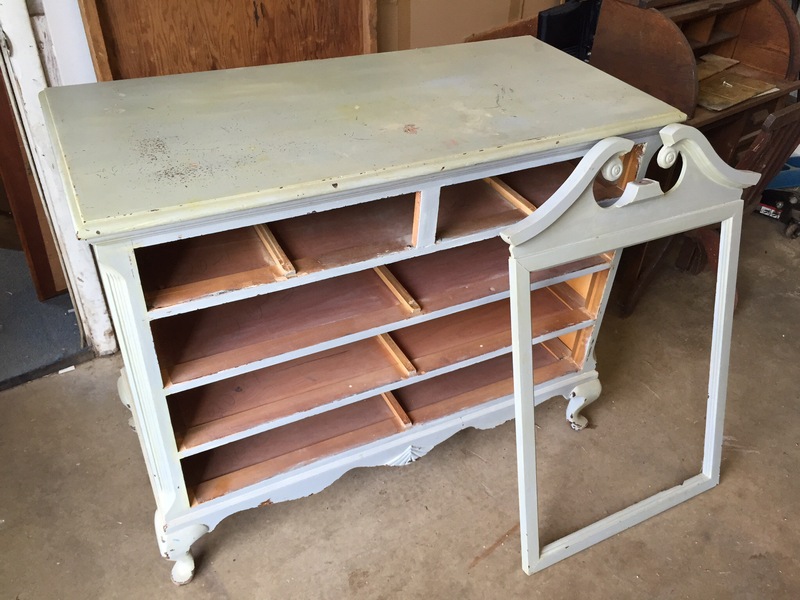 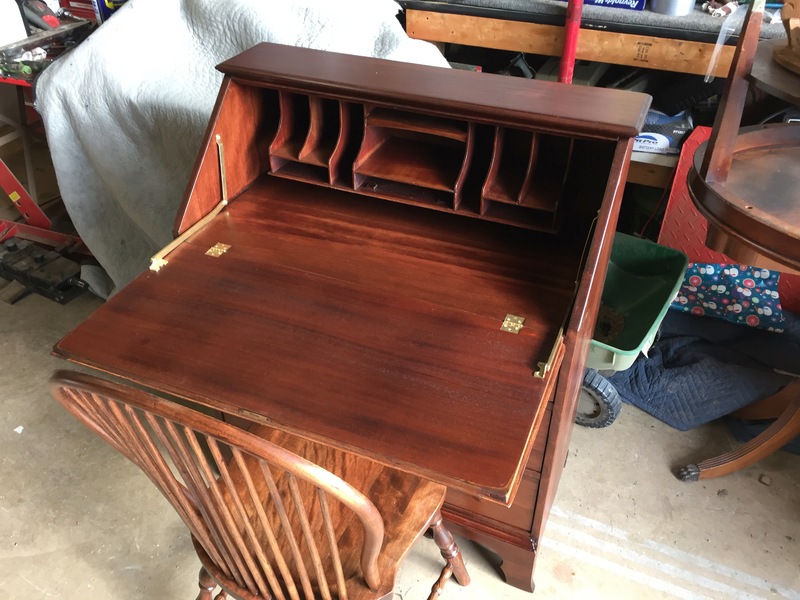 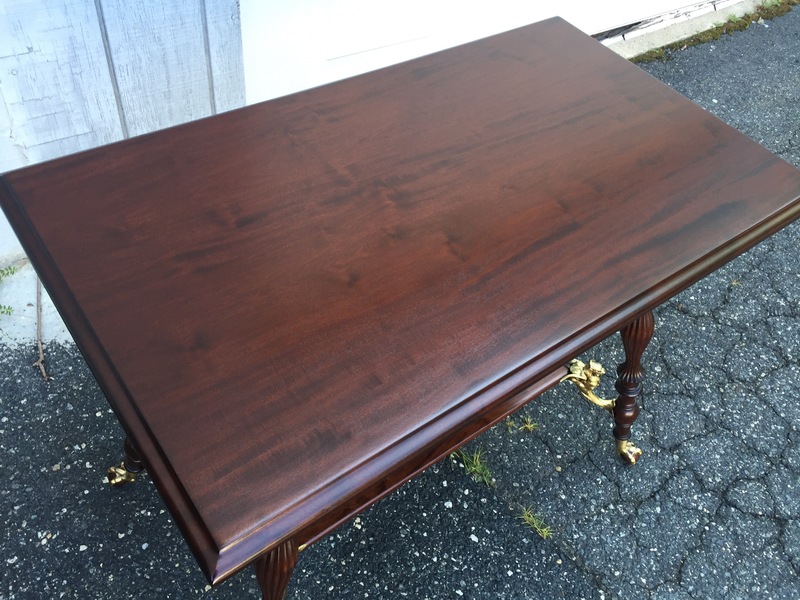 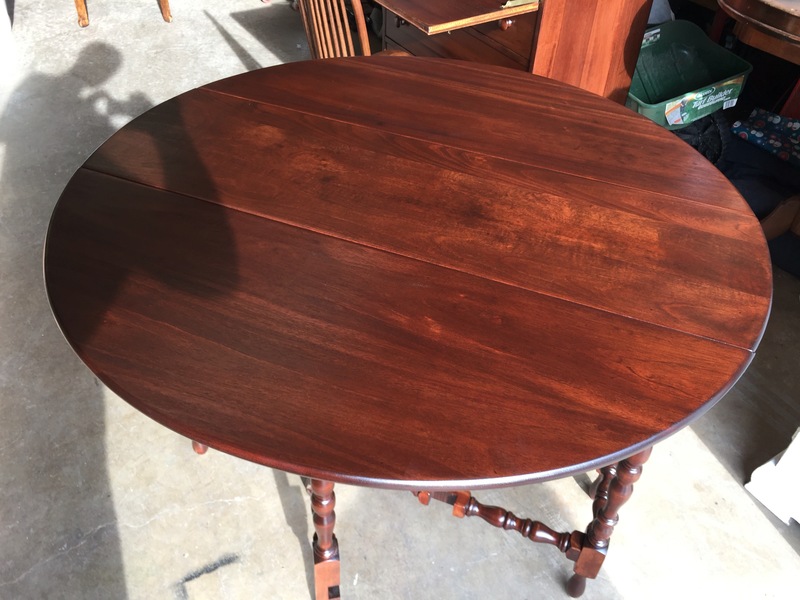 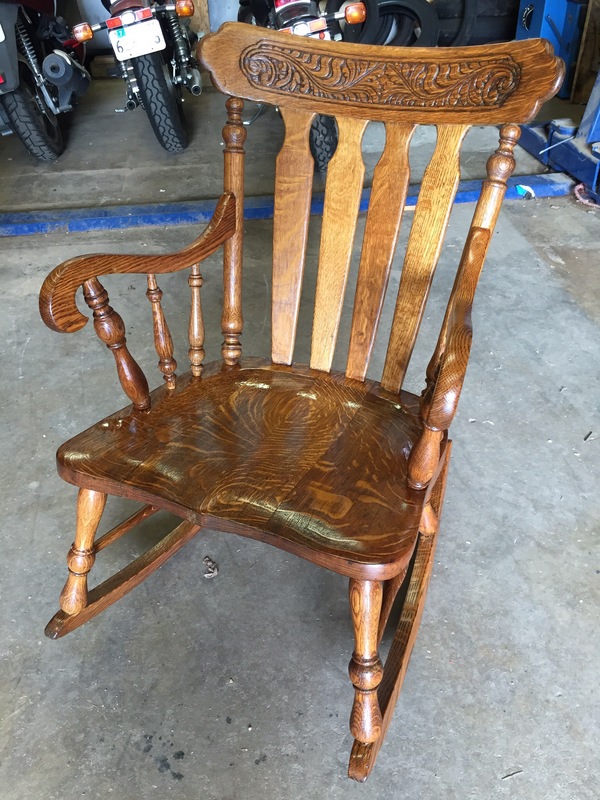 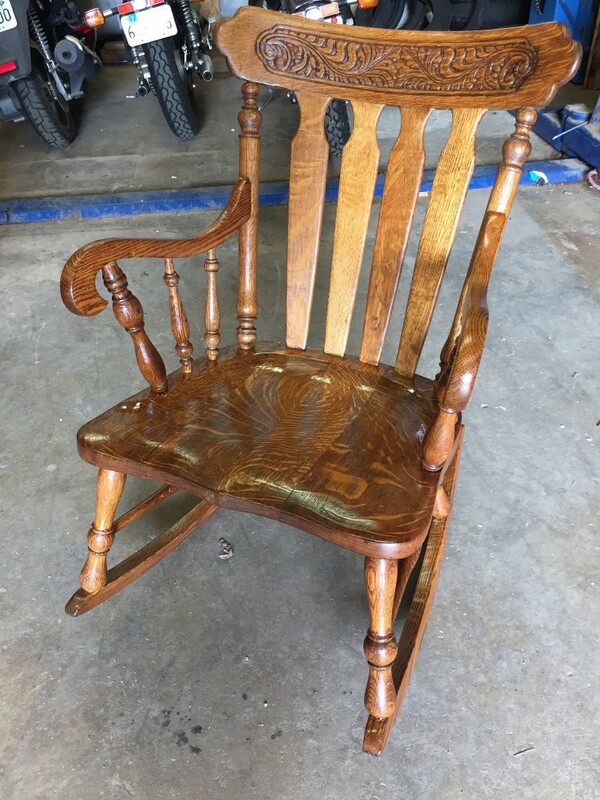 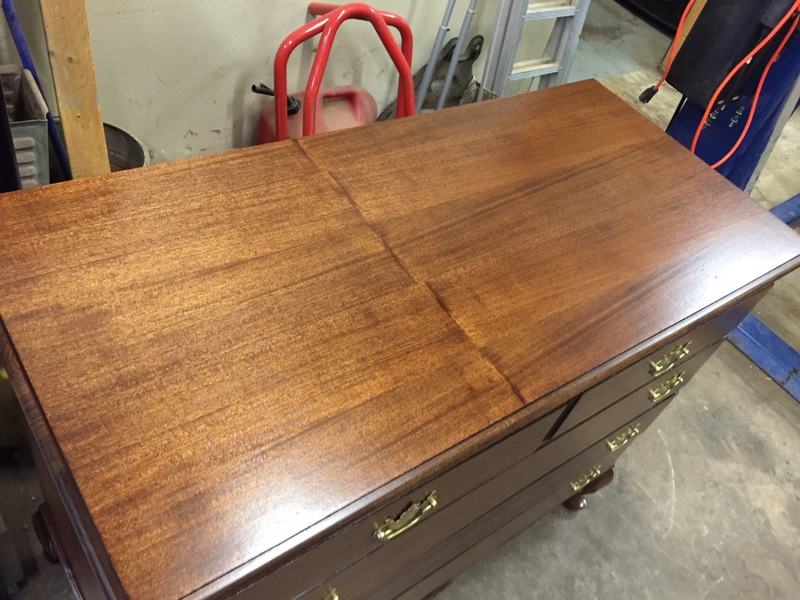 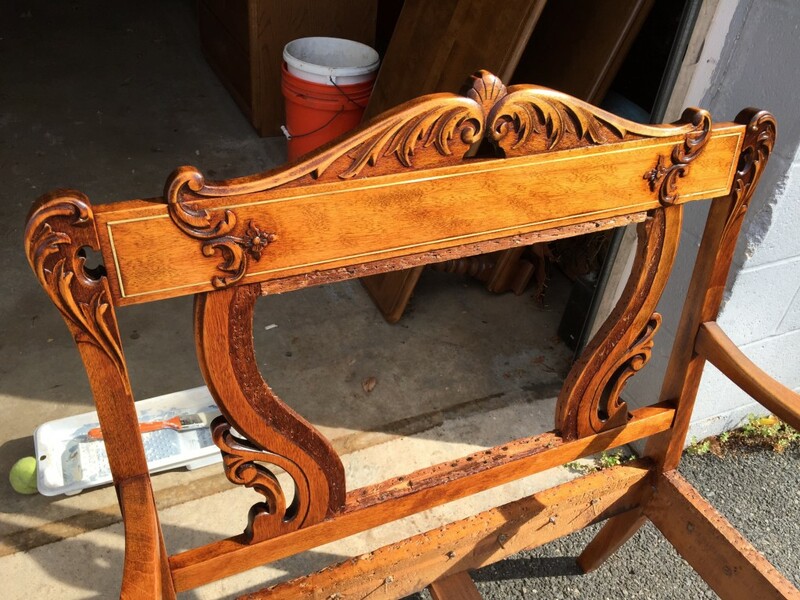 Desk, chair, table and gate-leg table fire/smoke restoration. 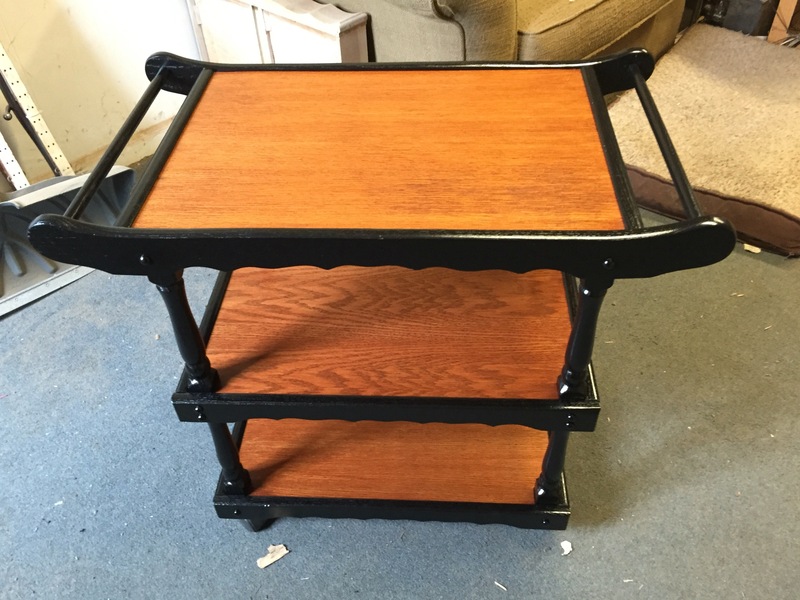 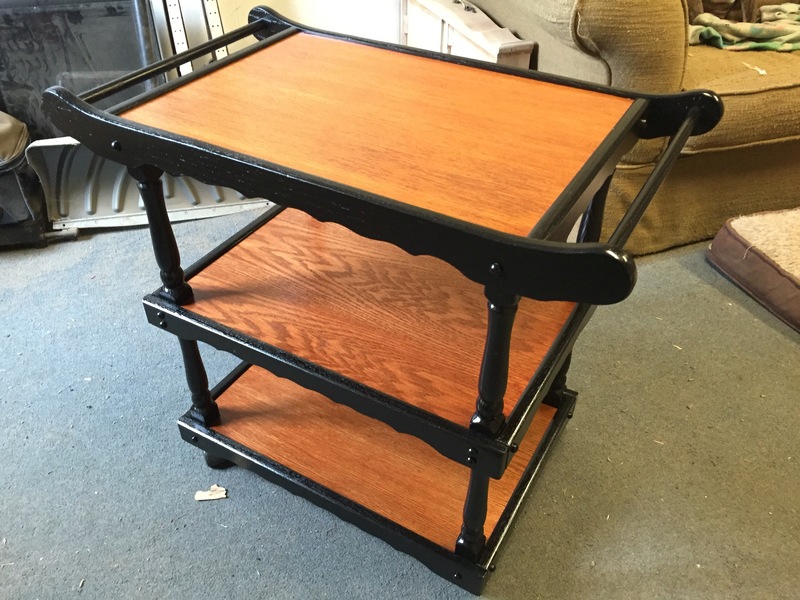 Two-tone black lacquer tea cart. 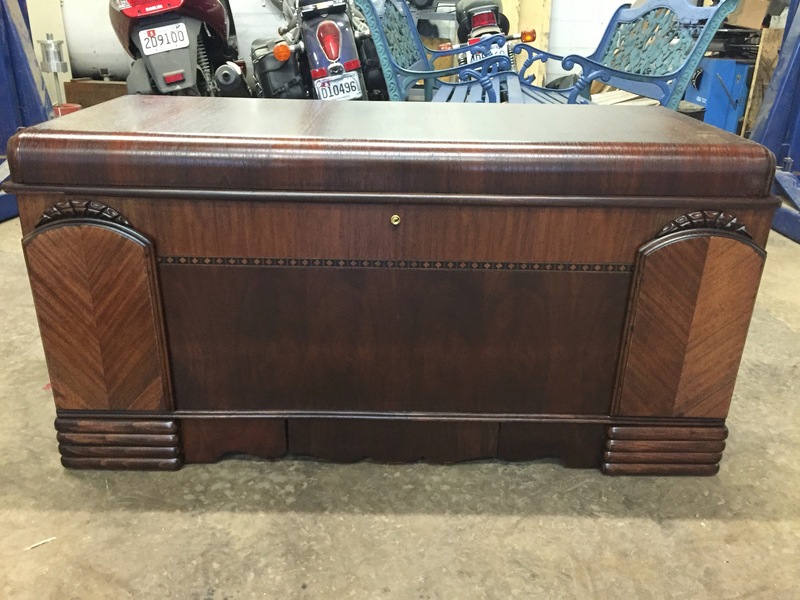 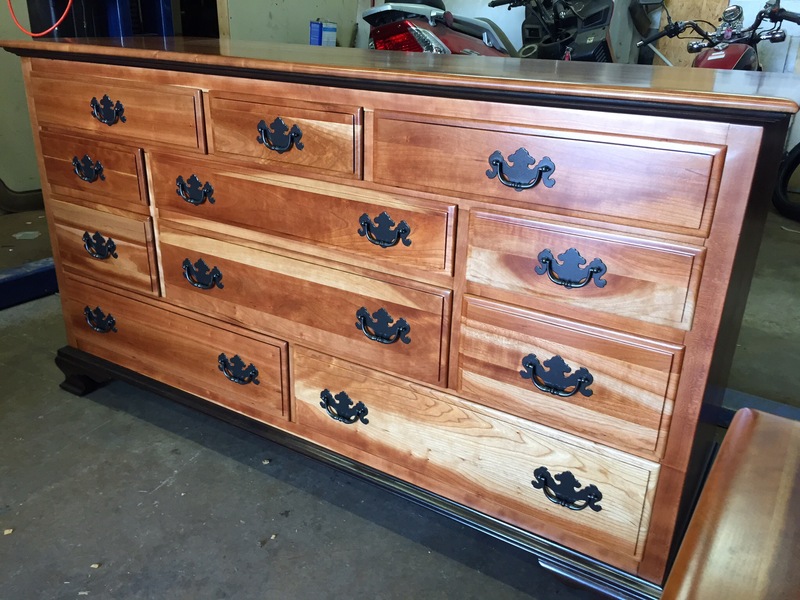 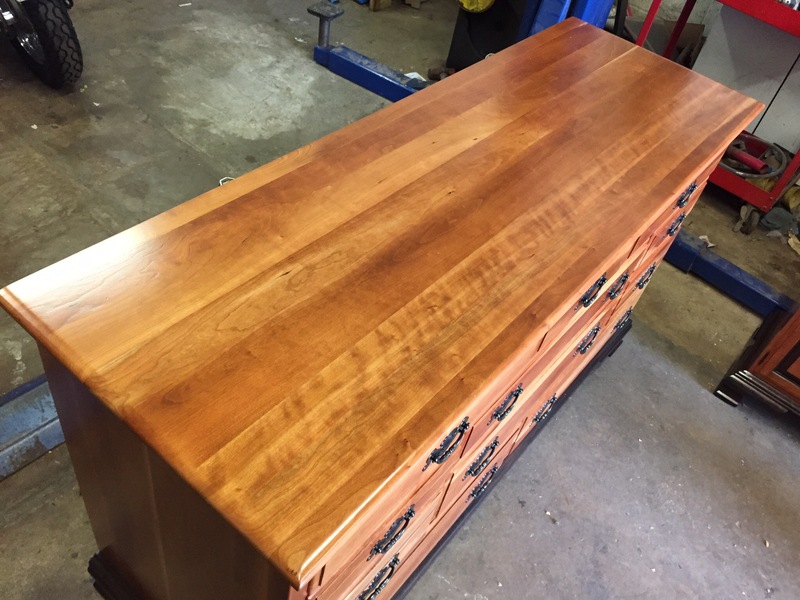 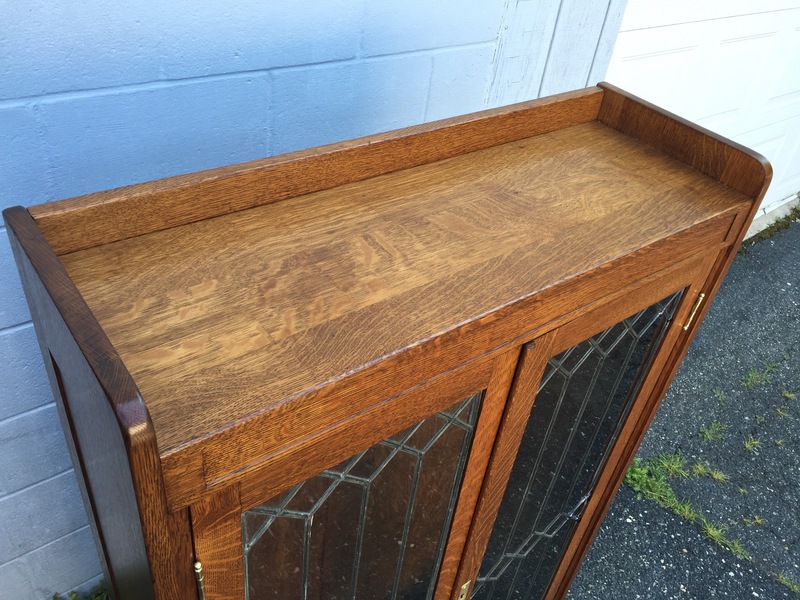 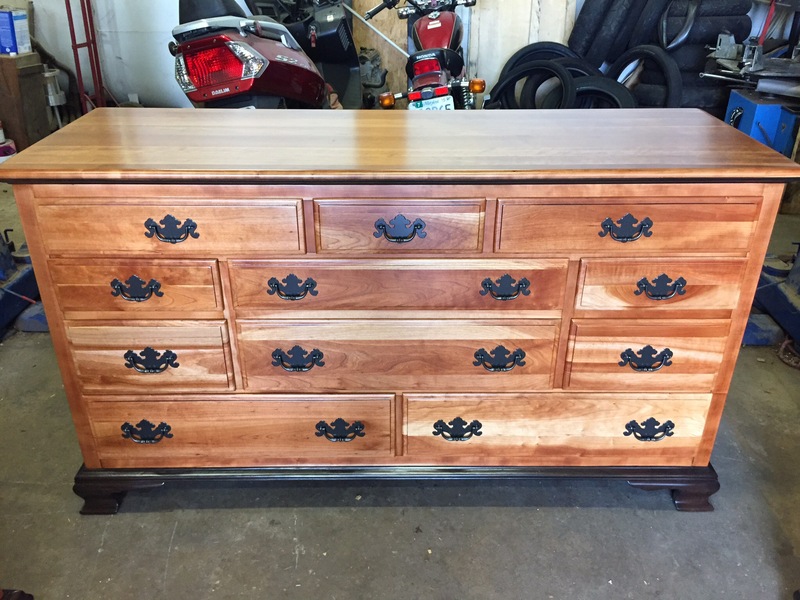 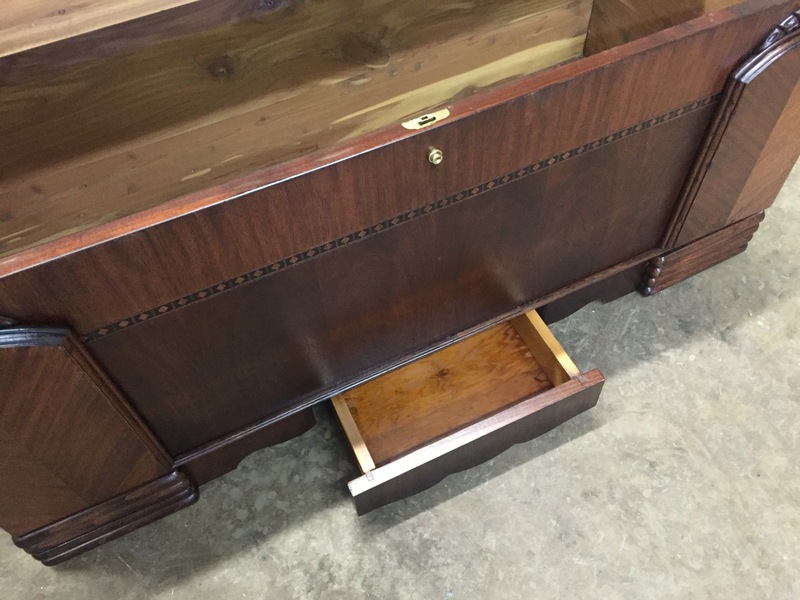 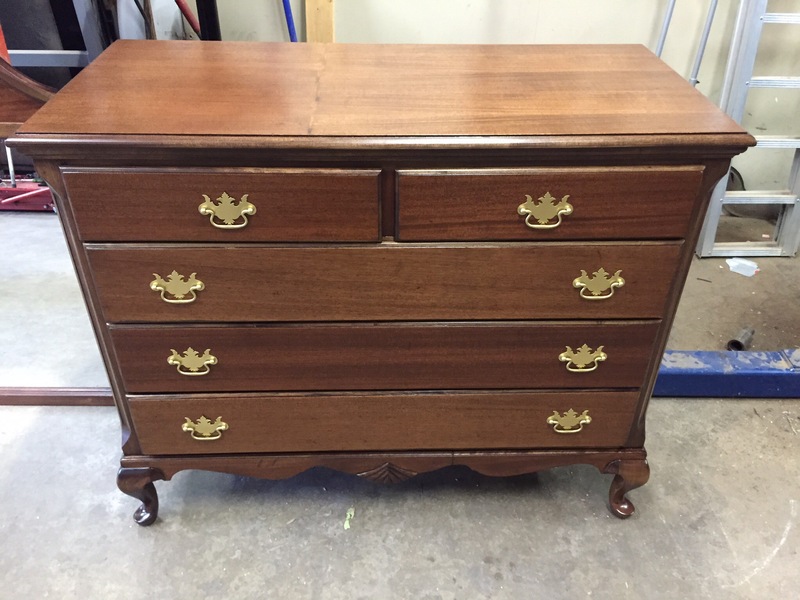 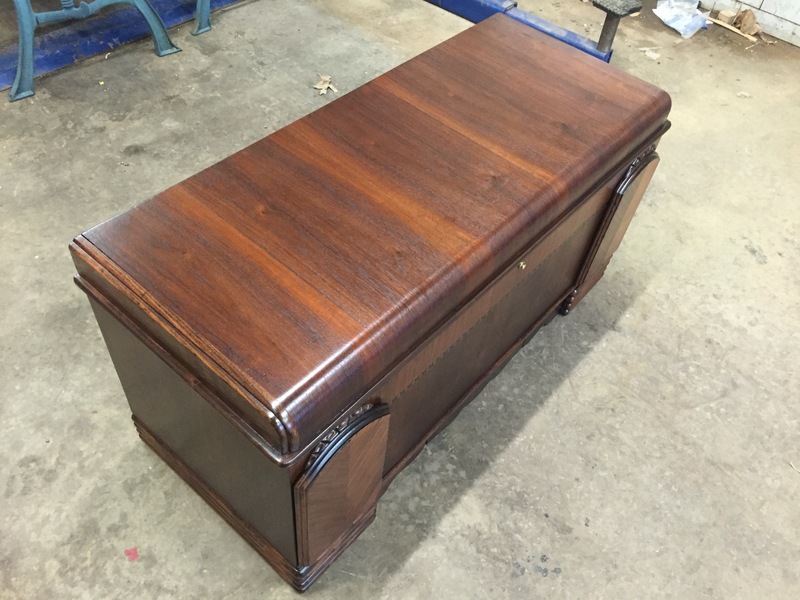 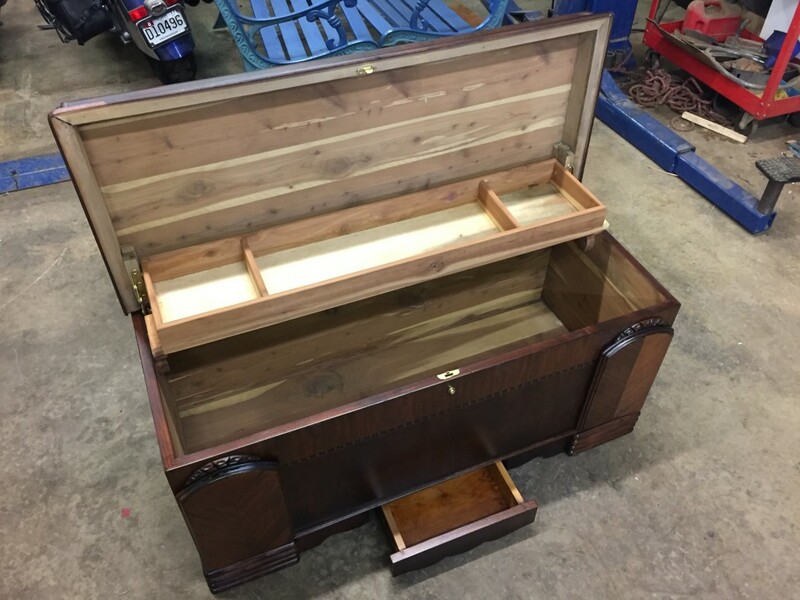 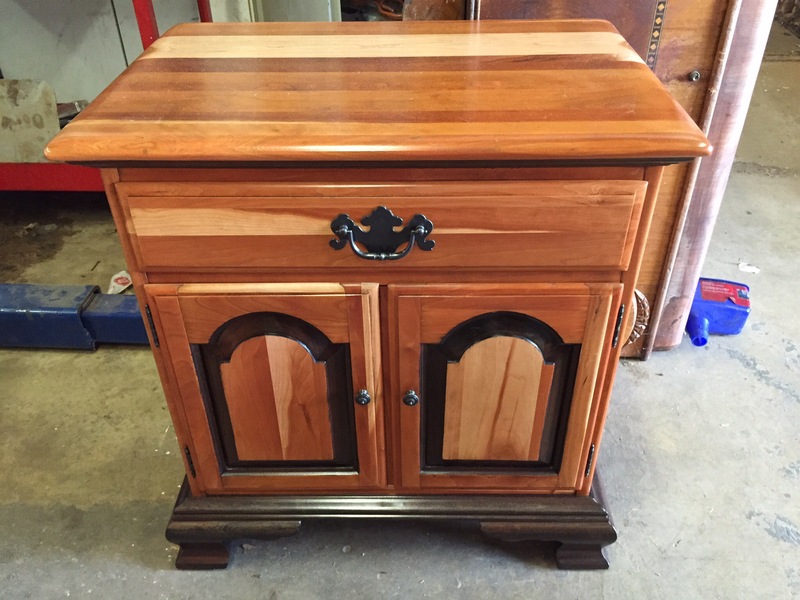 1930’s cedar chest. 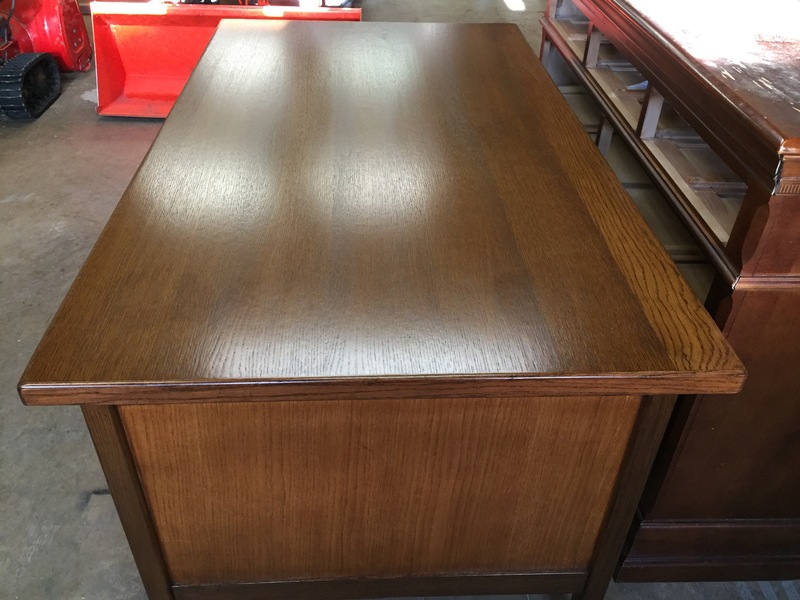 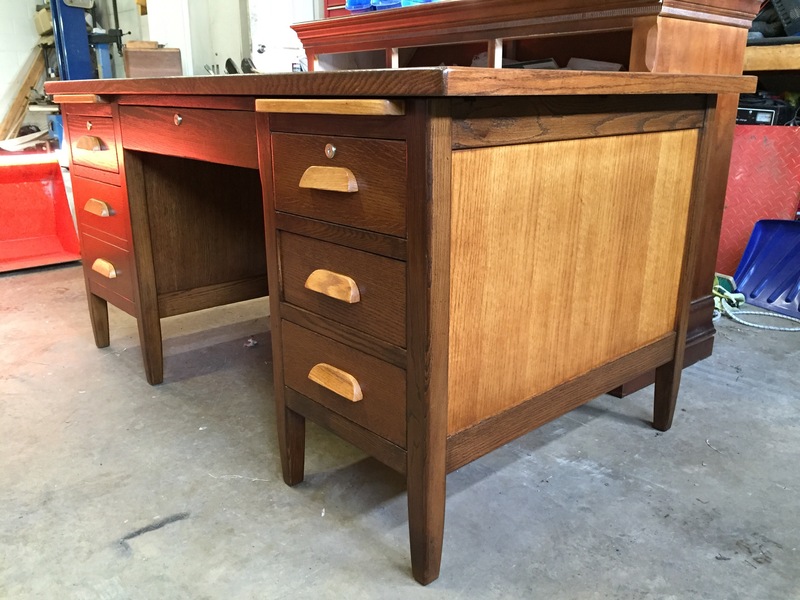 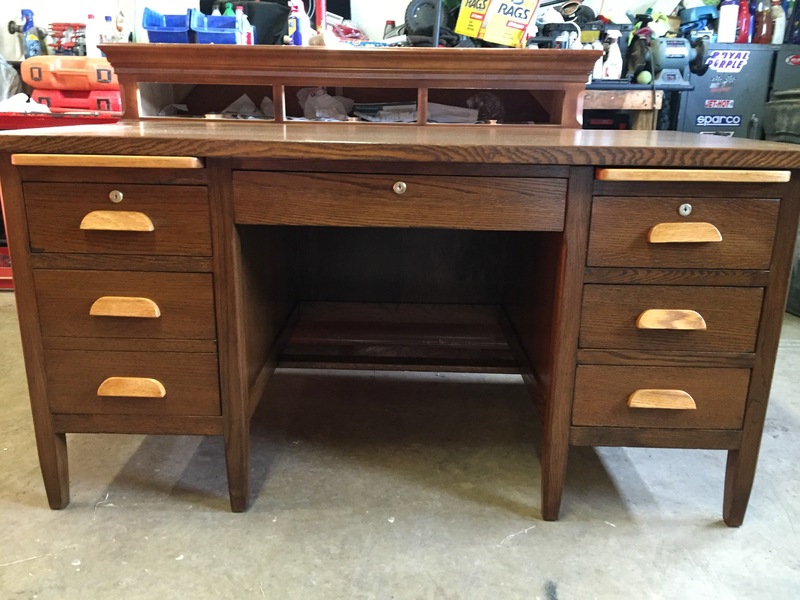 Oak Executive Office Desk. 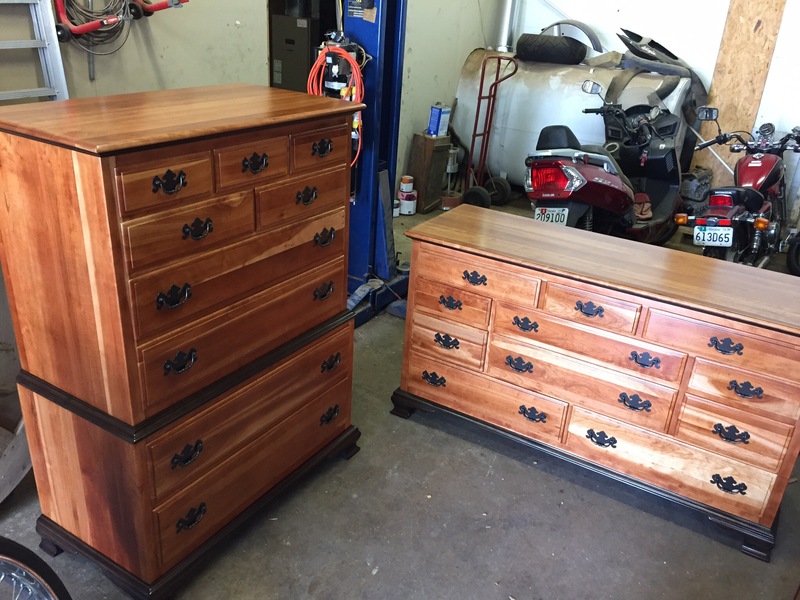 Finished two-tone. 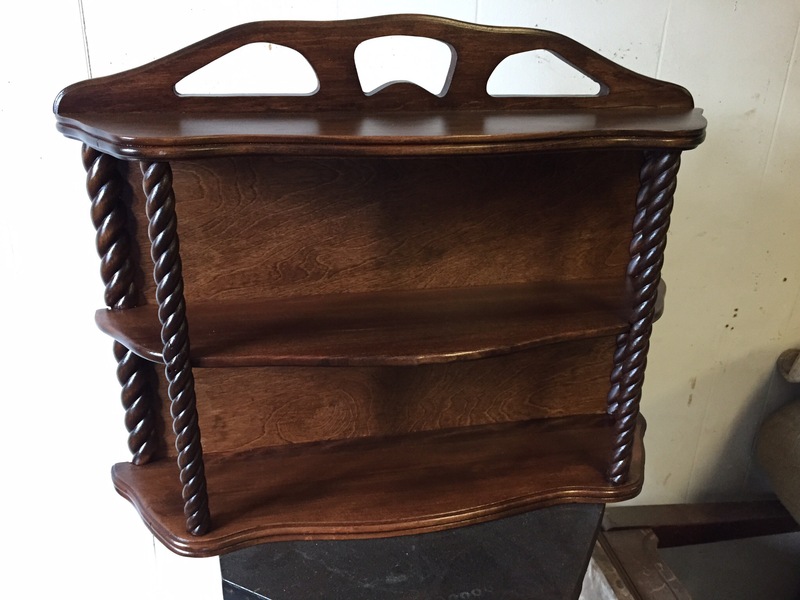 Dark Jacobean with light oak panels and drawer pulls. 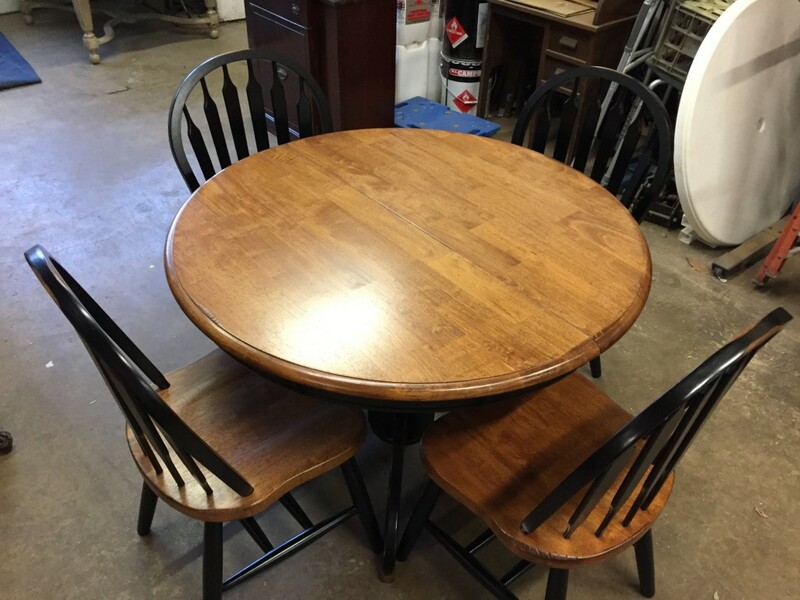 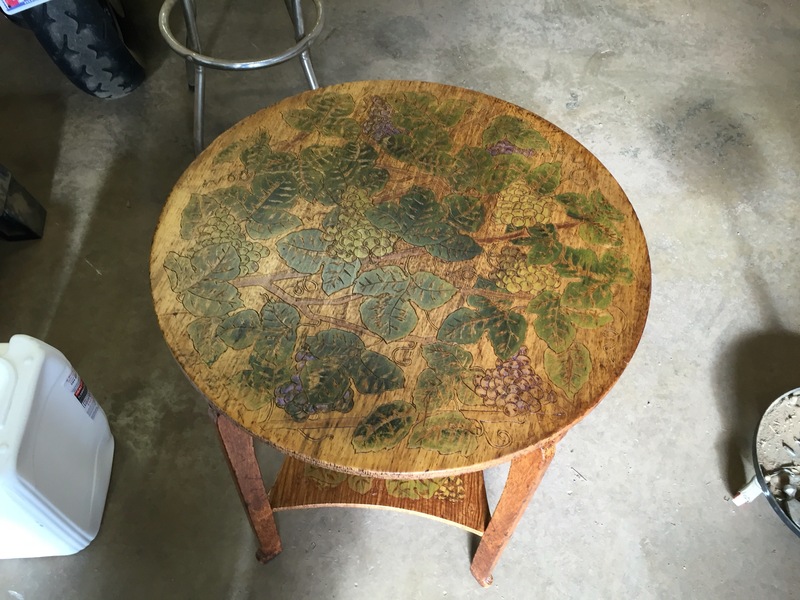 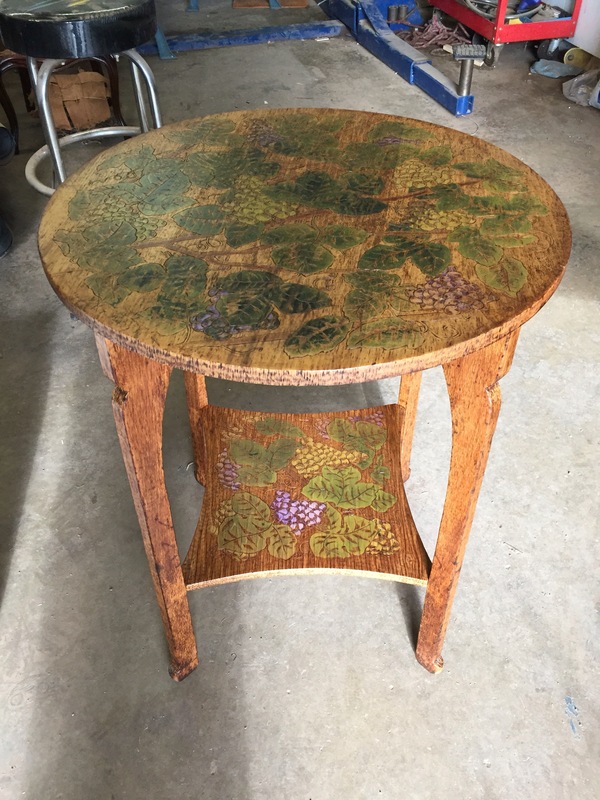 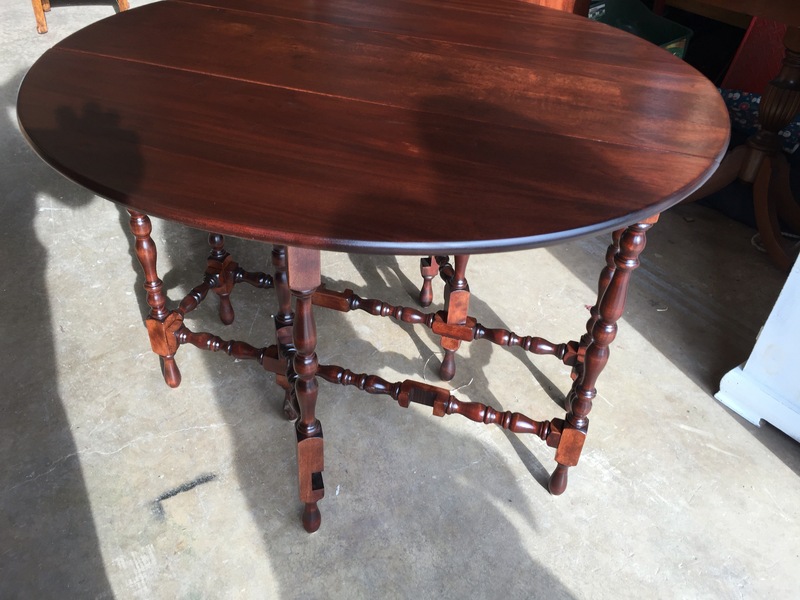 Two-toned butcher block style table and chairs with custom hand distressing. 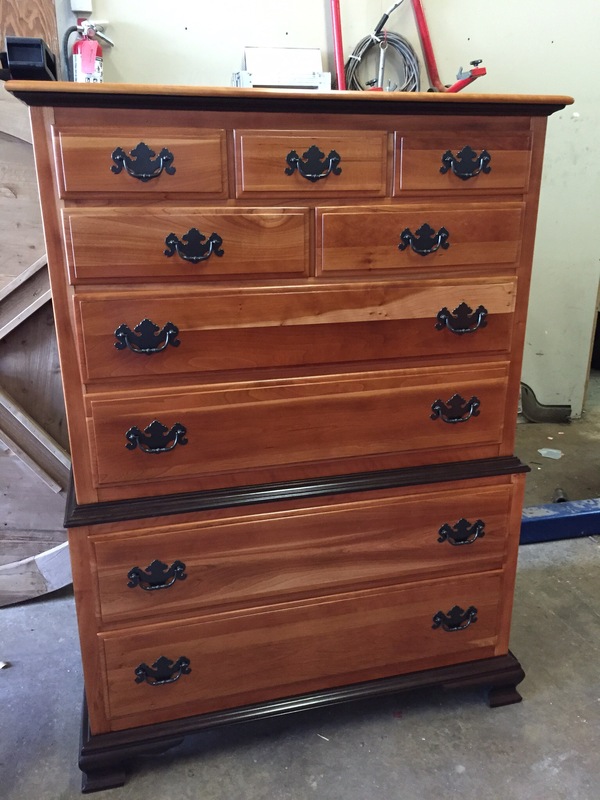 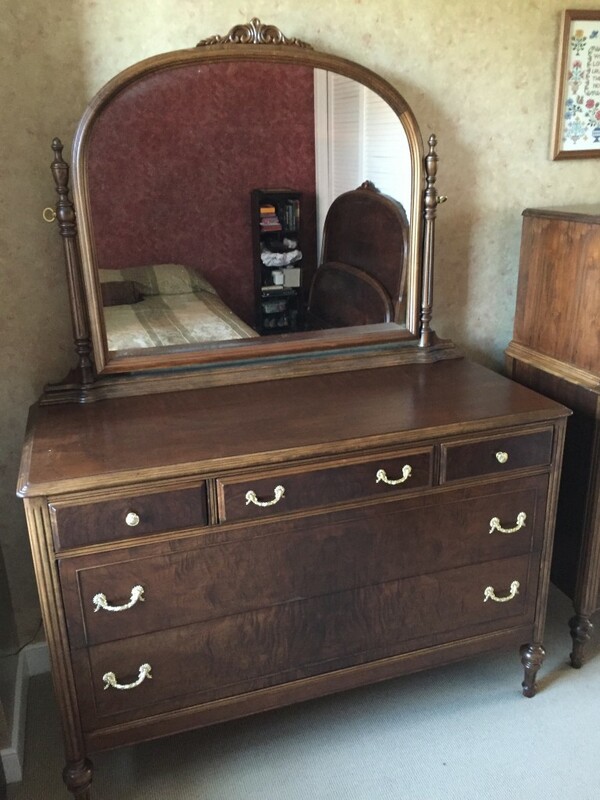 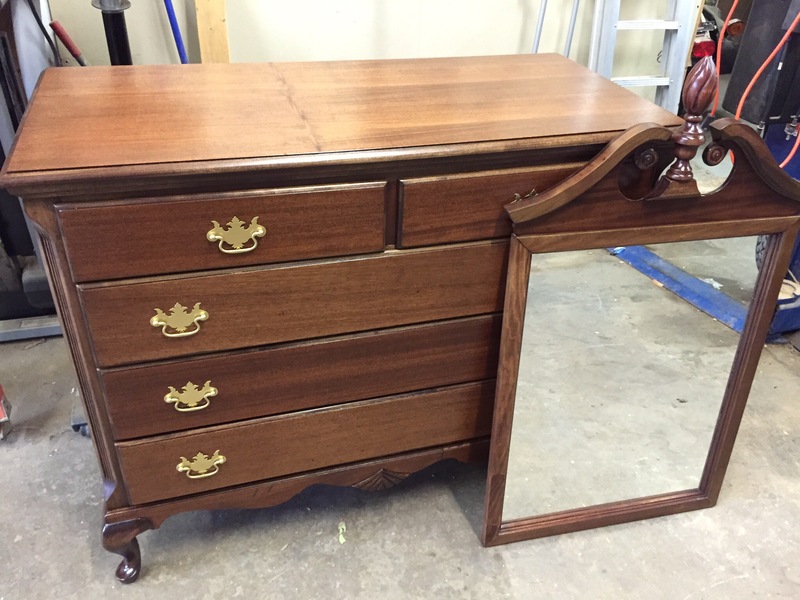 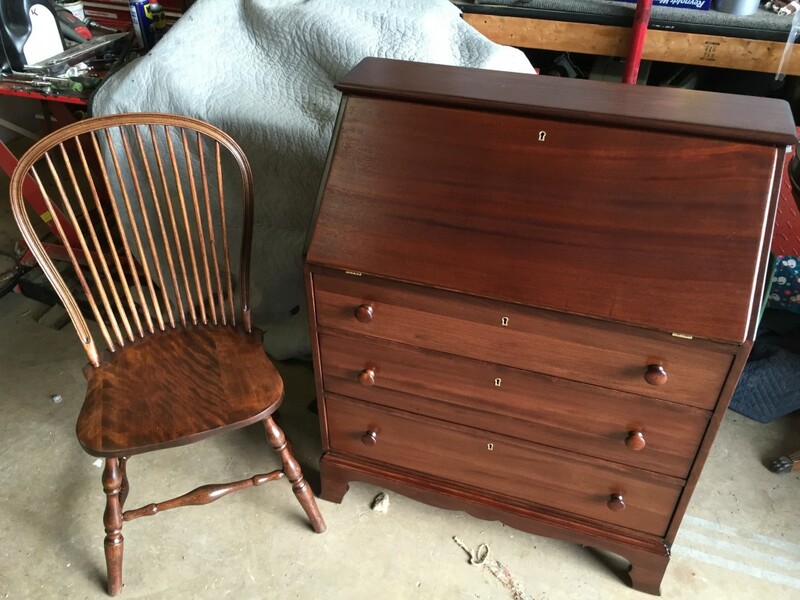 1930’s walnut bedroom set, special walnut color, polished brass handles.